I’m writing this post the morning after a fabulous and very modern Royal Wedding; as a devoted royalist I was hesitant to see what changes they were going to bring, but I loved it all – Absolutely Fabulous! Well done Harry and Meghan – you’ve made Britain very proud. Meghan Markle’s classic style was very much present, both in her bridal gown and in her evening ballgown – glamorous and truly stylish. I’m pretty sure Meghan has inspired so many young ladies and girls yesterday, I certainly know I was truly blown away. And it’s with all this, as a fashion blogger, I know so many will want to achieve her style – over the last couple of weeks, I’ve been reviewing the key elements of Meghan’s style, that can easily be adopted. Her dresses are fitted, structured and for the most part she likes a neutral palate, she doesn’t appear to be so keen on frills, big skirts or mini in length, in fact nearly every dress I have seen it’s all been below the knee. 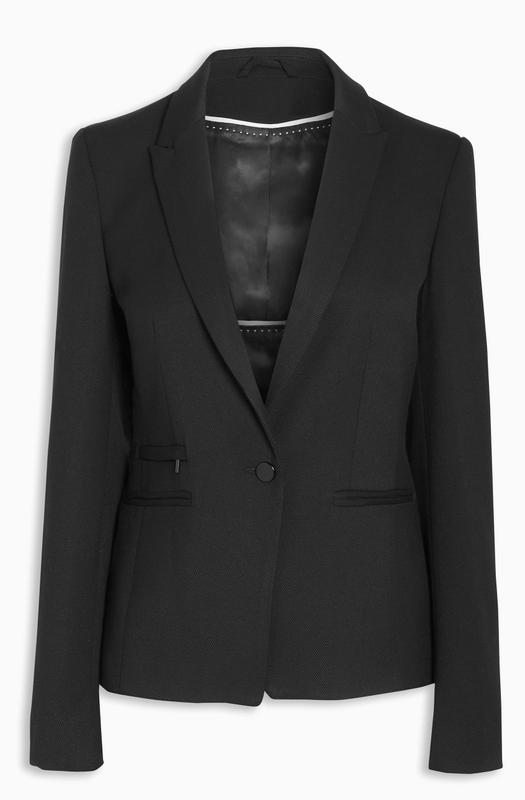 Tailored and black, that’s the DNA of Meghan’s jacket style. I like how she has it over her shoulders, making it far less formal and yet she’s keeping to her own style. She’s definitely not into the big shopping tote, again she likes a stiff structured small bag, either with a strap or as a clutch. And she keeps this simple with black, white or tan. 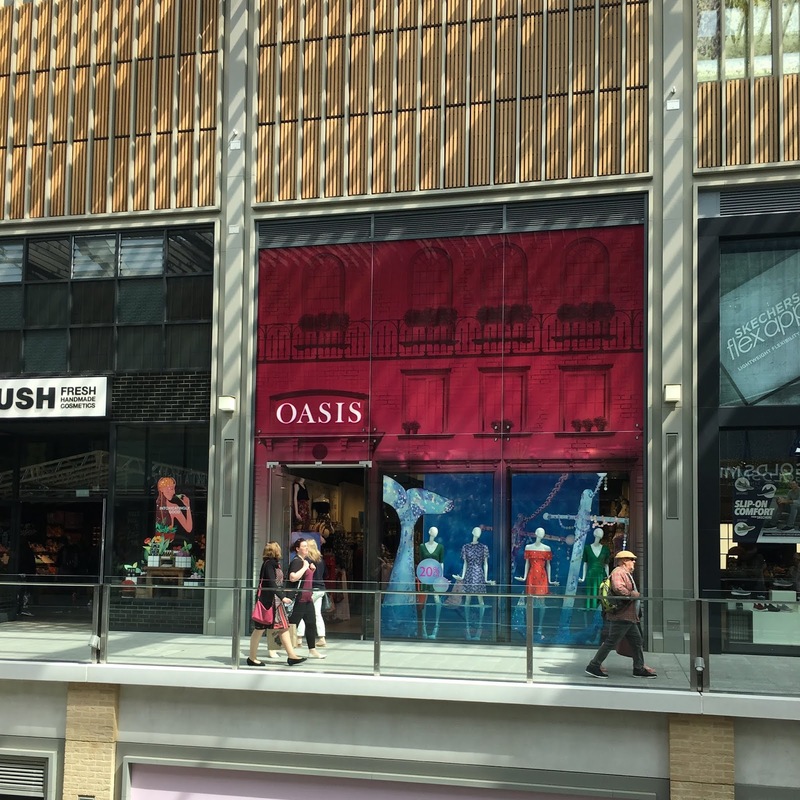 This is a slightly different style of post this Sunday, as I was invited by Westgate Oxford, a new shopping centre in the heart of Oxford city to do a collaboration piece – I provide the time and they provide the product. 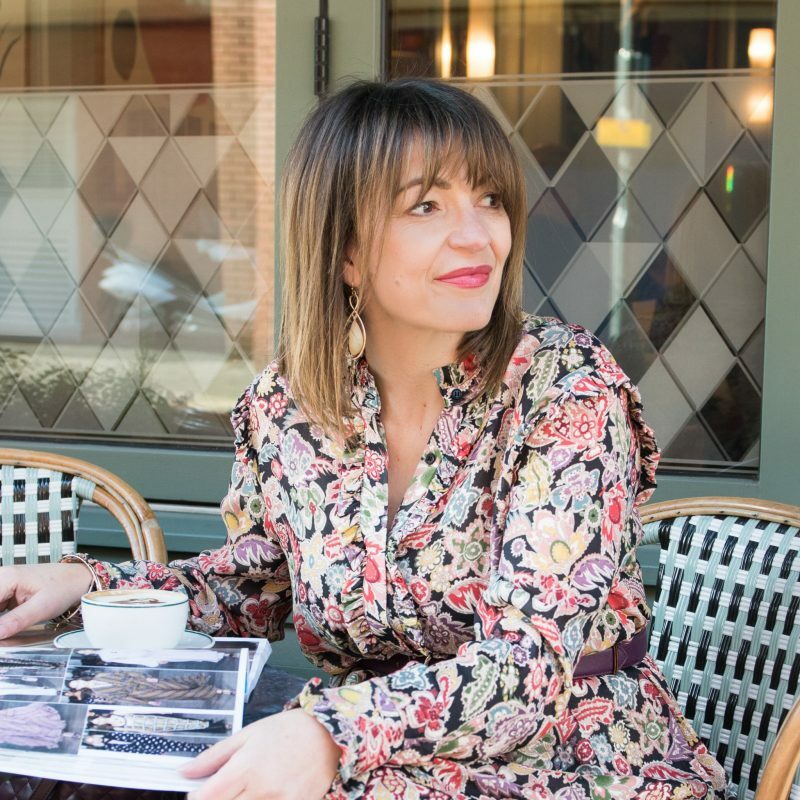 The brief was to get a top-to-toe Megan Markle fashion outfit from using their own stores, and this is how I got on. 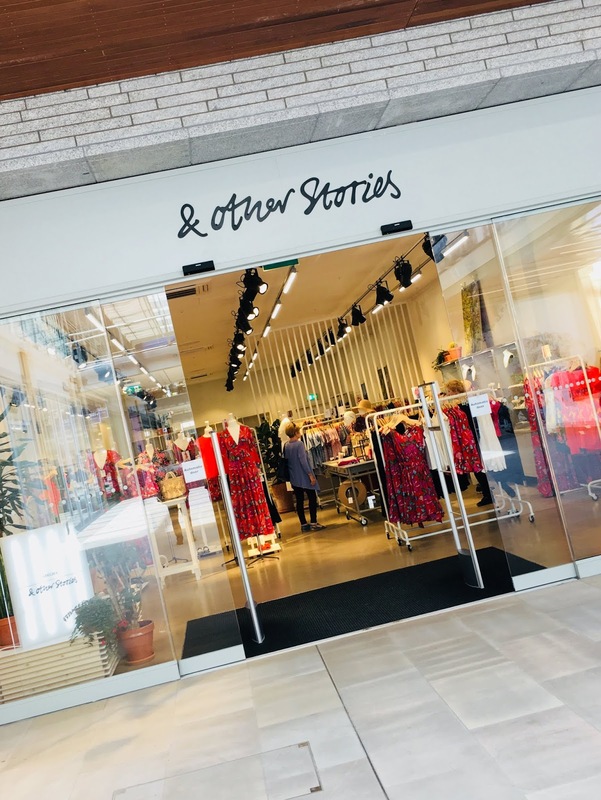 My first thought was to find a delicate floral dress similar to the green one above – floral dresses, simply equals & Other Stories, one of my favourite stores at Westgate Oxford, and so I headed there to see what they had. 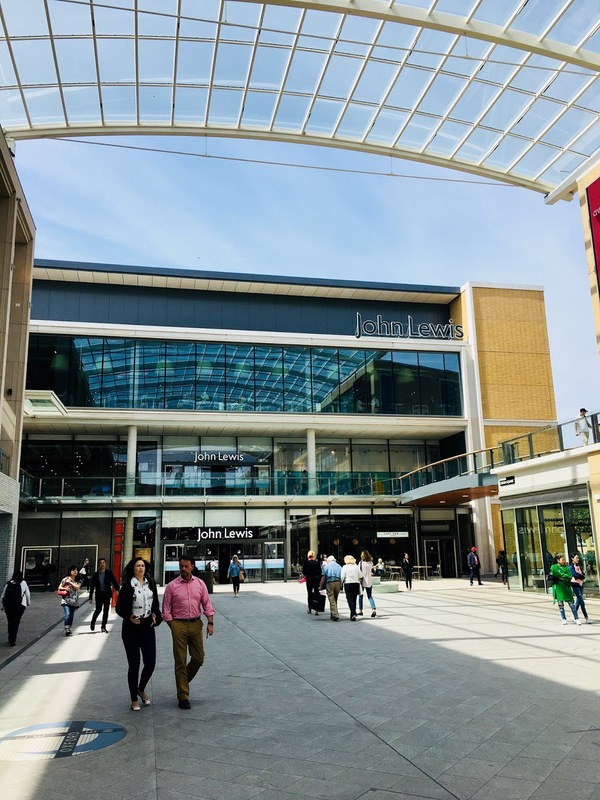 Off I then headed to John Lewis, the only department store at Westgate Oxford, and when you want to find a dress, heading to a department store is one of the quickest ways to cover lots of concessions and get a feel of what’s out there. I tried on quite a few, the dressing rooms in John Lewis are big, so it’s a very comfortable environment to spend time get in and out of many dresses (believe me I know!! LOL). This deep crimson dress said Meghan Markle right from the off and not a bad price at £69. Structured, well-fitted, and it’s from a brand called Finery, which up to now I’ve only seen online, so it’s great that you can now get hands-on with this brand in their store. Westgate Oxford have a number London stores that you don’t typically see in every town’s high street, like COS and Oliver Bonas, so I took this opportunity to take full advantage in checking out what they had to offer, and this leafy green dress was nearly a big contender. 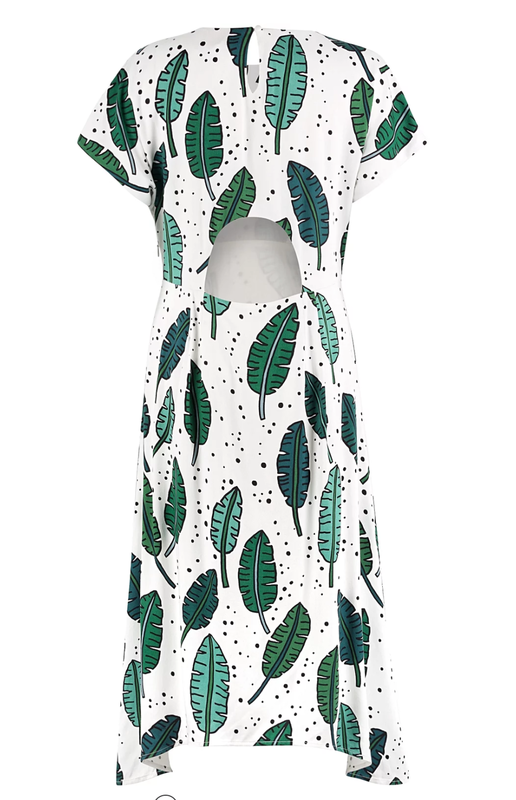 This Palmrama Printed Leaf dress is gorgeous, and I highly recommend it for any day event you’ve got coming up, the fabric was lovely, it was a really good fit, priced at £75. And if I can talk changing rooms again it was spacious and lit so well I could see what I was actually wearing! Why didn’t it make it? it has an open back see pic below, it’s not too revealing but again this is not Meghan’s style. I then popped into Oasis, and as soon as I saw this dress, I just knew I found it before I had even popped it on! Meghan Markle wears monochrome, I think it’s her signature style. She loves a neutral palate and stripes too are so on trend at the moment, it’s an easy way you can adopt her style. This dress comes in XS, S, M or L – I am wearing a Medium for a 12/14 fit. It’s jersey material so it flows naturally across your curves, and the style of the stripes it very complementary regardless of your proportions. And better still…. wait for it…. it was only £45, but now it’s £36! Once I got the dress, everything else just fell into place, starting with the shoes. You know I love New Look shoes, well New Look at Westgate Oxford has one of the biggest displays I’ve seen, I had plenty of choice, not only for colour and styles, but various heel choices too. Sticking to Meghan’s style, it had to be pointed, it had to be black and it had to have some ankle detail of which these have a bow at the back, and only £25.99. The bag, well we all know I love River Island for a bag, and their collection at Westgate Oxford did not disappoint, I could have picked two or three to specifically go with this outfit. 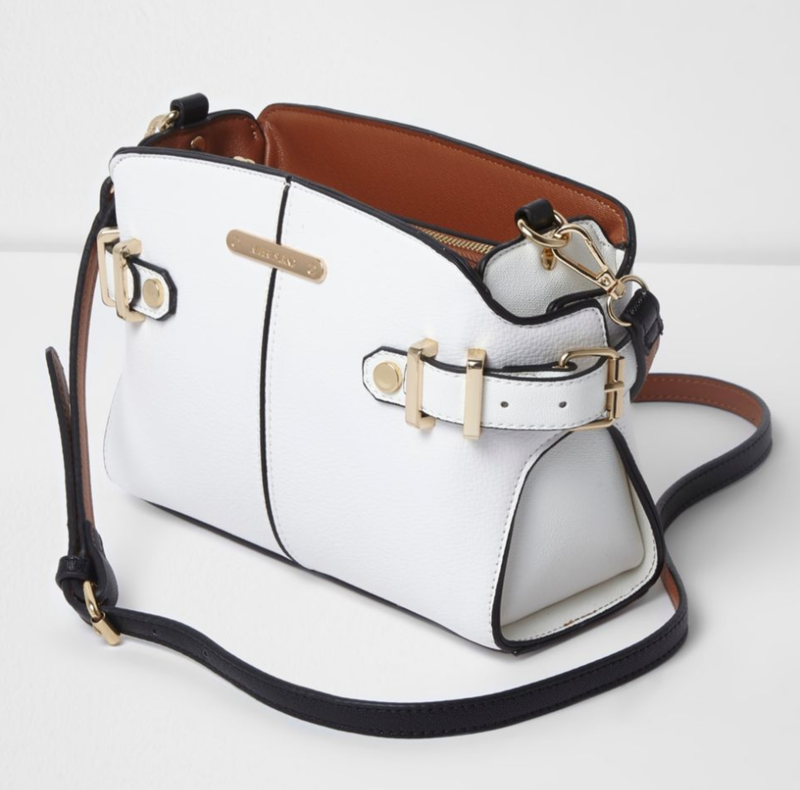 This structured boxy small bag, has cross-body straps and is predominately white with contrasting tan and black detailing with gold metal features. To finish the look, I needed a tailored jacket, well no one does that better at fashion price-points budgets than NEXT. I knew within a few minutes of walking in there I would have a great quality black tailored jacket for less than £50, and I did! 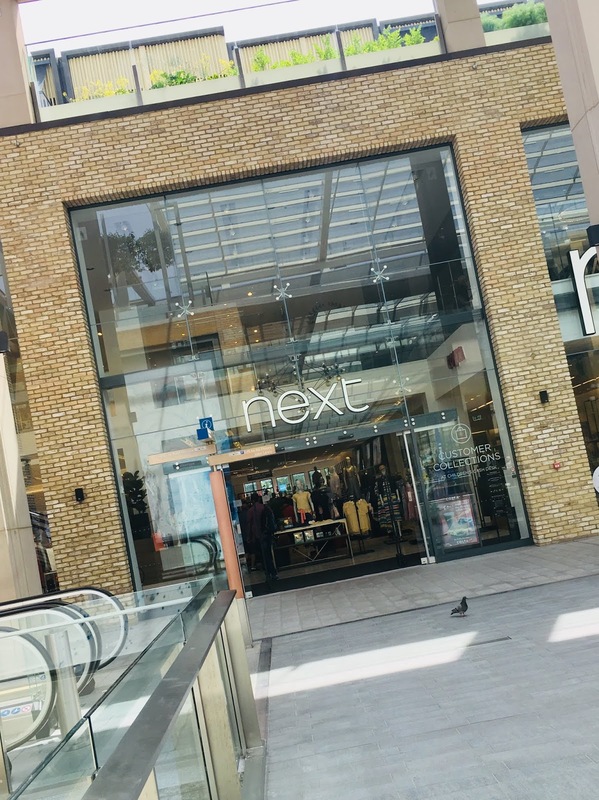 The NEXT at Westgate Oxford is a large store with lots of choice in Ladies collections. And they win the award for best changing room, not only is it stylish, it’s got a lovely area for you to spend lots of time trying on clothes, it has a huge mirror with lovely carpet – so you can twirl to your hearts content to get the best view of your outfit. 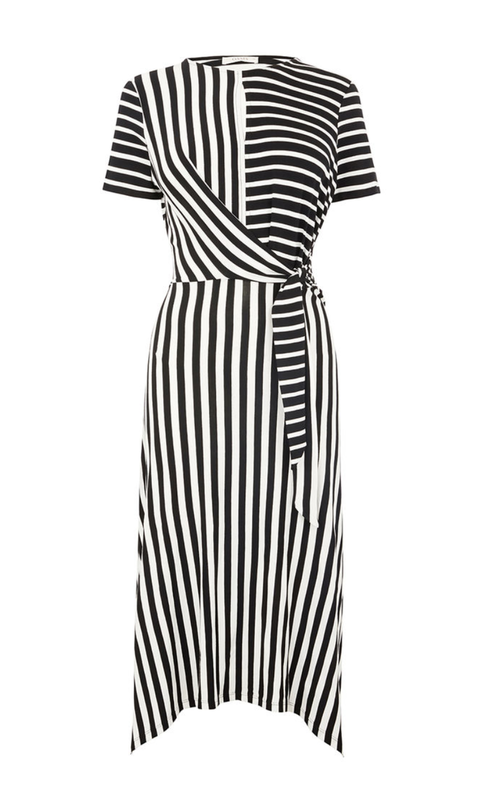 This little number finished off the whole outfit and not a bad price too at £42. And as for the jewellery, well I wore my own family jewels, my most small and delicate pieces, just as I think Meghan does, each day. 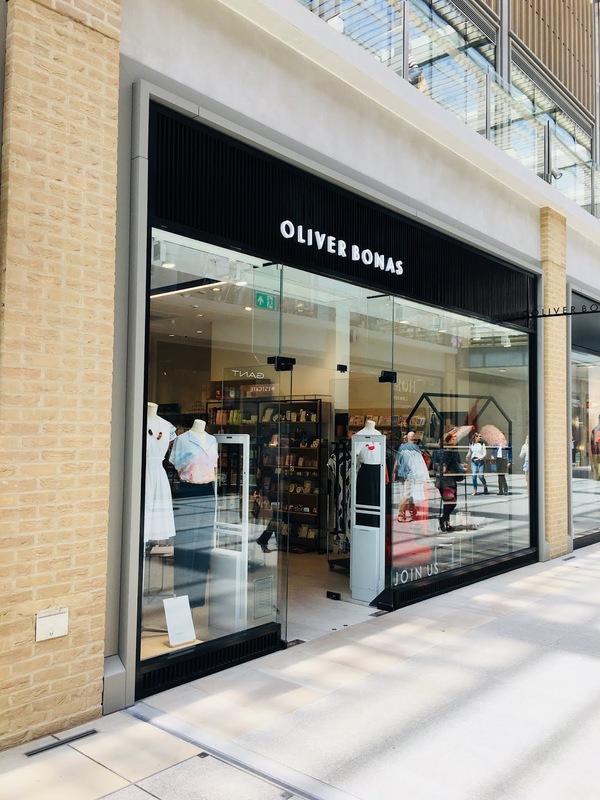 This entire outfit is less than £150 – and you can shop the whole look at Westgate Oxford Shopping Centre. And this was me yesterday celebrating the Royal Wedding at home with family. No commission or affiliation to any of the brands featured in this post. Check out my Instastories Highlights to see more. Previous Post ONE STRAW BAG, TWO STRAW BAG, THREE STRAW BAG, FOUR!